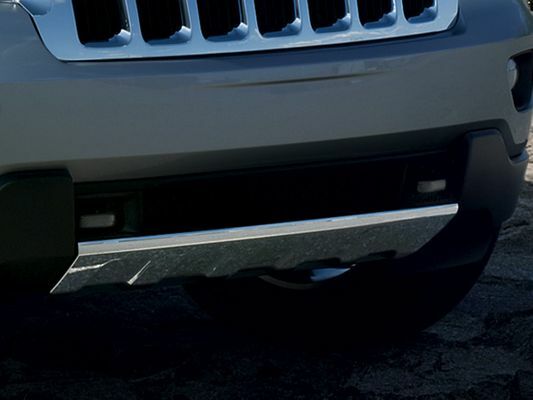 Chrome Bumper Molding for your Jeep is available from JustforJeeps.com. 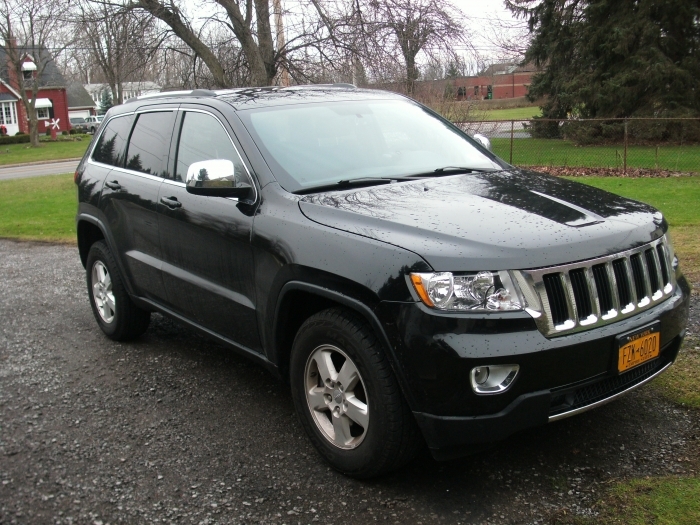 While it is standard on Limited and Overland Grand Cherokee models, it also can be added to the Laredo. 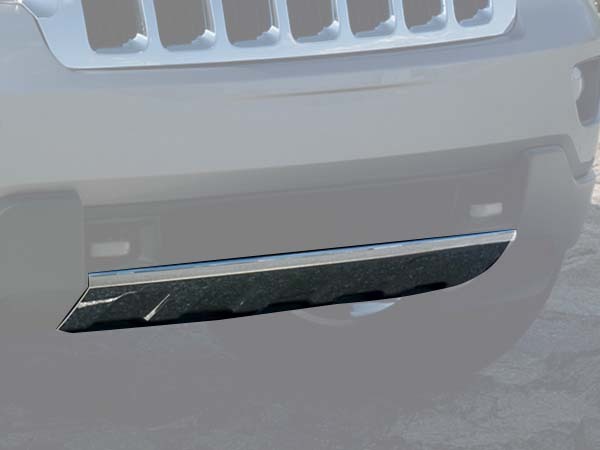 Either the front bumper cover or the molding can be modified. Originally, the Chrome Bumper Molding was not designed for the Laredo. It requires your own modification - either cut the tabs off and use double-sided tape, or cut mounting holes in the bumper and slide the lock tabs in place. If you don't have adaptive cruise control, order item 68078286AB; if you have adaptive cruise control, opt for part 68078287AA. This trim is not made to fit a Laredo unless you remove numerous tabs on the inside of it. I trimmed them off as much as possible and then used a Dremel to remove the remainder of the tabs. After trying to glue onto my Laredo, I followed another reviewer's advise and screwed it on. I used 3 stainless steel hex head screws across the bottom edge. The fascia went on quickly and is more secure than using adhesive. 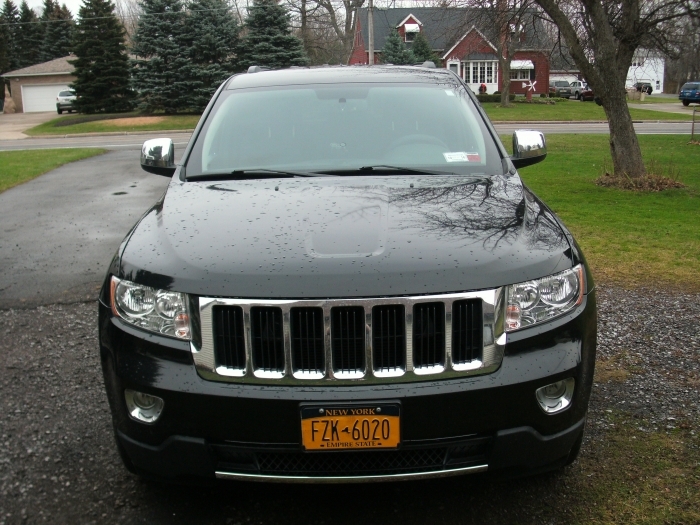 I bought this item to add to my 2012 laredo 4x4. After adding the chrome mirror covers and fog light bezels this is just the piece needed since i'm transforming my laredo to look like a overland. I just installed this molding and it really gives my GC 70th a much higher end look, specially when combined with the Summit grille. The install for the molding was done via three small screws (facing the ground) I used to secure the molding to the bumper as the two sided tape wasn't working for me. Looks great, really worth the money. My GC sits on 22 inch Dub Woofers all chrome so this item really pops. Proshigh quality, OEM product, fast delivery. ConsYou will have to remove/cut 5-6 tabs on the underside of the molding as this product is made for a GC Limited or higher. And possibly use two sided tape (didn't adhere on my molding) or do what I did, use three small screws. Once those mods are made, it fits like a glove!